THE BIOLOGICALLY APPROPRIATE CONCEPT IS SIMPLE: MIRROR THE BALANCE AND VARIETY OF FOODS THAT DOGS AND CATS WOULD NATURALLY FIND HUNTING IN THE WILD AND FOR WHICH THEY ARE EVOLVED TO EAT. domestication. Today‘s modern dogs are not only capable of eating the food of their wild ancestors, but actually require it for maximum health. carbohydrate foods that contain high and various inclusions of animal ingredients that are processed as little as possible. Cereal grains are excluded and carbohydrates are reduced. 1. RICH IN ANIMAL PROTEIN from meat concentrated formulations (70%+). 2. 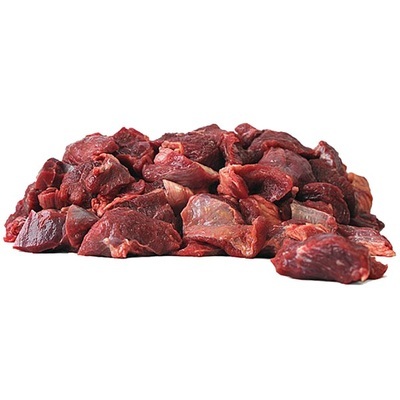 HIGH & VARIOUS FRESH MEAT INCLUSIONS from a variety of animal sources. 3. LOW IN CARBOHYDRATES with no high-glycemic cereal grains present. 5. FRUITS, VEGETABLES & BOTANICALS. As carnivores, dogs and cats are adapted for a diet high in meat proteins. The ideal diet for a dog or cat is almost exclusively from animal source, with minimal plant material and no grains at all. quantities that correspond to the requirements needed by dogs and cats. based on the egg, which is considered to have all essential amino acids in perfect amounts and balance. amino acids they need to thrive. Plant proteins are typically missing essential amino acids arginine, taurine, methionine, lysine and tryptophan. Corn, for example, does not contain glycine, lysine or tryptophan. The lack of these essential amino acids reduces the overall protein quality of the food. Corn has a crude protein content of approximately 9%. However, of this, less than half (4.5%) is made up of Essential Amino Acids. ORIJEN´S Biologically Appropriate concept is simple to understand yet difficult to recreate within the limits of dry dog or cat food. Stated simply, 'Biologically Appropriate' means mirroring the foods that Mother Nature evolved the animal to eat, that is, matching the food to the digestive anatomy of the target animal — in our case, dogs and cats. 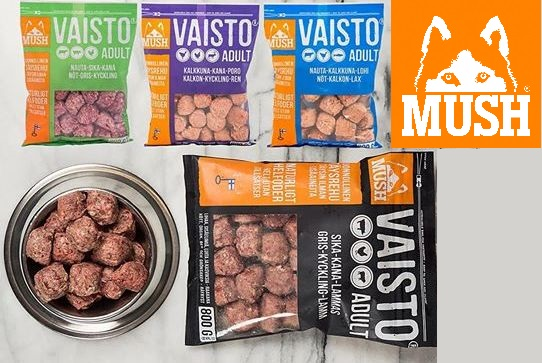 Worlds away from conventional pet foods, our Biologically Appropriate mandate delivers real and noticeable differences in nutrition and feeding performance. The following principles guide and reflect our food development and Biologically Appropriate commitment. FRESH' is a term that is frequently misused by pet food producers. A fresh ingredient is never frozen, and cannot be exposed to heat or chemicals. Refrigeration is the only allowable means of preservation for ingredients that are truly fresh. Unmatched by any other dry dog or cat food on earth, ORIJEN features the highest inclusions of free-run chicken and turkey, whole eggs, free-range red meats and wild-caught freshwater and saltwater fish that are truly fresh — delivered from their local region each day, and brimming with proteins and fats in their most nourishing, natural form. Because they believe pet lovers want to know where their food comes from, they focus on ingredients that are farmed or fished locally by people they know and trust. Processed under the Government of Canada's highest food safety standards, their world-class fresh meats are approved 'fit for human consumption' by the Canadian Food Inspection Agency. We also feed our dogs barf according to the The "Prey model" . This diet attempts to simulate the proportions of an actual prey animal in a digs natural diet. Actual whole prey are used whenever possible, including whole chickens, fish,and turkeys. Generally, the diet recommends 60% fatty meat (including some 'meaty' organs such as liver and heart), 30% bone and 10% tribe. We do also focus on feeding meats from a wide variety of animals, and we also add small amounts of vegetable matter or herbal supplements and a clean fish oil to compensate for the reduced amount of omega-3 fatty acid in commercially raised grain-fed livestock. Since it is difficult only to feed actual whole prey...we mix diets to match a complete prey ex: fatty meat and organs from venison, a lamb bone and some lamb tribe. As with kibble we do make sure that the meat holds highs standards and does not resemble "carbage". Calcium...you feed the dog bone and cartilage to provide a source of calcium...but in order to absorb the calcium the body needs vitamin D.....vitamin D is present in organ meat like liver and kidney...but vitamin D is also a fat soluble vitamin - so fat/fatty meat needs to present as well. Another well know mythe is that tribe is ok to feed in large portions....NOT TRUE...Tribe contains large amounts of phosfor...and if not served in the right amount...will mess up the natural phosfor/calcium in the body..... the smart reader will soon understand that if people by example only feed bones and tribe....you really can make a big mess. So if BARF is the direction you want to go be sure you get guidance and make complete diet plans for your dog. If your dogs system is in favor of it...you can also mix Orijen with BARF.